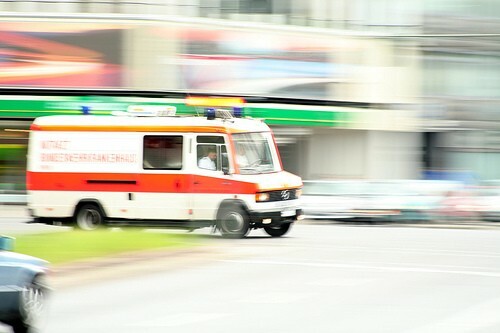 It has long been known that a substantial percentage of trauma victims in hospital emergency rooms present with an elevated blood alcohol level – but a new study shows that testing for alcohol in ERs, instead of just asking about drinking, helps to identify people with likely alcohol use disorders and helps to predict further medical complications. Without alcohol, hospital emergency rooms would be much quieter places. Alcohol plays a role in about a third of trauma admissions; it also complicates the assessment and diagnosis process for ER doctors and increases the likelihood of further medical complications. In much of the world, the ER standard for alcohol assessment is to ask the trauma victim, or an accompanying friend or family member, about drinking behaviors prior to the trauma incident. Many American trauma centers routinely test for blood alcohol content (BAC), but since BAC levels fall by the hour after cessation of drinking, these may give an incomplete picture of alcohol consumption prior to the traumatic event. Newer alcohol biomarkers can assess the level of alcohol consumption in weeks preceding the test. Dr. Michael Fleming, out of the University of Wisconsin, led a research team that investigated the benefits of testing patients admitted to hospital emergency rooms for blood alcohol levels. The researchers tested 213 patients admitted to a university hospital and found that 22% presented with an elevated blood alcohol level and that 12% eventually went into alcohol withdrawal while hospitalized. Those who tested positive for an elevated blood alcohol level were more likely to develop a medical complication while hospitalized. Notably, alcohol tests identified 16 patients who had previously denied high levels of alcohol intake as high-risk patients for alcohol use disorders. Alcoholic patients are more likely to underreport their drinking or view their level of consumption as normal, say the authors. The authors also note that testing for alcohol led to the identification of nearly 25% of those with an alcohol use disorder that would have been missed without testing. Dr. Fleming does note that testing for BALs in trauma centers has prompted some concern from those who worry that a positive test could be used to deny insurance coverage for treatment. The study received funding from the National Institutes of Health and is published in Alcoholism Clinical and Experimental Research.